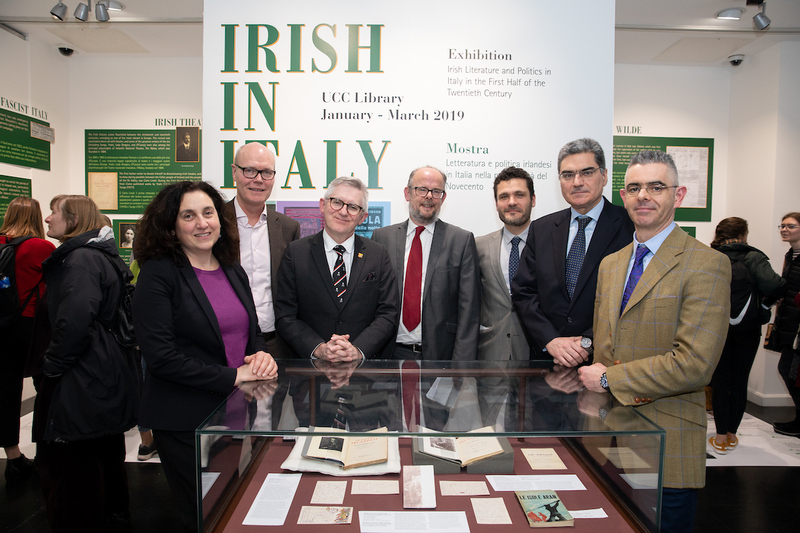 The Irish in Italy the latest exhibition in UCC Library opened last Thursday evening, February 7th . The exhibition, run in partnership with The Department of Italian, and CASiLAC looks at the reception of Irish literary culture in Italy in the first half of the 20th century and the subsequent literary impact of Irish literature in Italy. The exhibition runs until the end of March and there are a number of events planned in conjunction with the exhibition which will take place over the next month and a bit. The exhibition can be found on the Q Floor of the Boole Library and is open to all.